Coldhaven gives players a whole new location to explore, or even live in with its own player home. Players can visit Coldhaven as mortals, or as Vampires. Coldhaven gives players a whole new location to explore, or even live in with its own player home. Players can visit Coldhaven as mortals, or as Vampires - the Vampires of Coldhaven use the other races for nourishment but they do tolerate visitors and some outside trade. There are taverns, inns, alchemy and magic shops, clothing shops, and a blacksmith. Commoners live and work in the lower levels of Coldhaven, mortal workers toil in the Thaeyalla fields and gold mine, while noble houses overlook their subordinates. However, there are some mysteries in the city of Coldhaven ... not everything is as it seems. This video is a showcase of Coldhaven and a technical review by SoT. 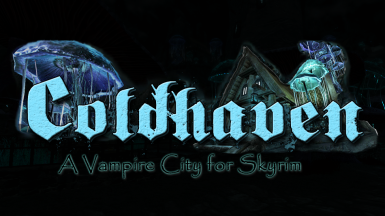 You do not need to use any of my other mods to use Coldhaven. It is standalone. Coldhaven is, in a minor way, an extension and continuation of my Better Vampire Weapons mod. At the end of BVW, the main character, Tamara, was nowhere to be found. The last we heard of her, she was seeking more powerful weapons to fight back against the Dawnguard and Vigilants. Her ally, at least ideologically, was another vampire named Galain. They were tired of how most Skyrim Vampires are fragmented and isolationists. Tamara and Galain believed organizing together was their best defense. Coldhaven was founded years ago ... no one quite knows the exact date ... by a small but dedicated group of Vampires. The most notable figures in Coldhaven's founding were Galain, Dalaran, and Sicara. 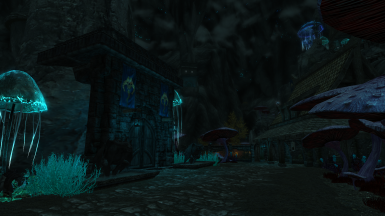 Coldhaven was originally discovered by Sicara while investigating Dwemer ruins in the area. Her research, along with the assistance of hundreds of Falmer workers, helped her unblocked passages that led to the enormous underground cavern. Her magic, along with that of Galain and Dalaran, helped reshape the stone to their purposes. 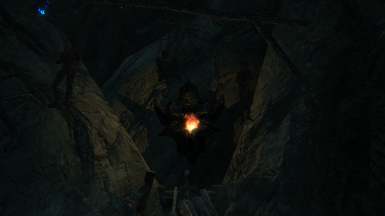 While Coldhaven was being constructed, many Dwemer artifacts were uncovered and some strange passageways were partially excavated. Galain was particularly interested in some of the ancient Dwemer technology, but his curiosity was pushed aside as they focused on the enormity of building a Vampire city. As construction neared completion, Dalaran began to study arcane magic and Dwemer technology with more fervor than Galain had ever shown; it bordered on obsession. Galain traveled above-ground gathering information about mortal conflicts and the growing threats of the Vigilants of Stendarr and the Dawnguard. Sicara recruited many Vampires under the banner of Coldhaven and was instrumental in populating the cavern. She is the architect of the city's organization and worker system. Sicara was the first Sovrena of Coldhaven and ruled from her central tower overlooking all citizens. Vampires in Coldhaven have learned how to combine blood potions and soul gems together into Vampire Bloodgems. These Vampire's Bloodgems can be smelted into Bloodglass Ingots, which can be used to craft brand new Bloodglass weapons. 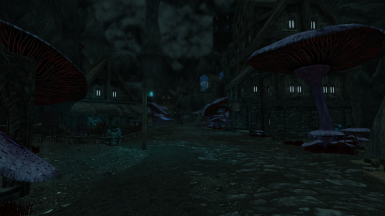 Bloodglass weapons will appear in some NPC shops once you reach a high enough level. Bloodglass weapons can be tempered to improve them. Bloodglass gems, ingots, and the weapons themselves can be purchased in Coldhaven. Coldhaven remains a closely guarded secret - very few Vampires even know of its existence. Visitors are welcome, but many mortals refuse to stay long and fear for their lives. Recently, Galain was killed by a group of Dawnguard Hunters and Dalaran has gone missing from his tower. 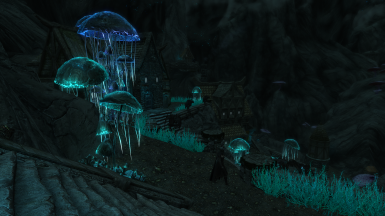 The community is still growing and flourishing, but murmurs of concern and mild discontent are spreading through some of the noble houses on Coldhaven's plateau. To start the quest to find Coldhaven, visit any inn or tavern and speak with the innkeeper/bartender. Please download and try my Alternate Start - Live Another Life extension. With it you can choose to start the game as an adventurer visiting Coldhaven or as a Vampire resident in Coldhaven (you will own Lamae's Rest).